Read at leakedpress / Spiegel, posting from Leakedpress . If this is true (which it probably is. otherwise Snowden would not be hiding), then its something to either fear or marvel at. In both cases, I would love to see these devices in action as its something which catches my expertise and eye. Specialists at the intelligence organization succeeded years ago in penetrating the company’s digital firewalls. A document viewed by SPIEGEL resembling a product catalog reveals that an NSA division called ANT has burrowed its way into nearly all the security architecture made by the major players in the industry — including American global market leader Cisco and its Chinese competitor Huawei, but also producers of mass-market goods, such as US computer-maker Dell and Apple’s iPhone. The specialists at ANT, which presumably stands for Advanced or Access Network Technology, could be described as master carpenters for the NSA’s department for Tailored Access Operations (TAO). In cases where TAO’s usual hacking and data-skimming methods don’t suffice, ANT workers step in with their special tools, penetrating networking equipment, monitoring mobile phones and computers and diverting or even modifying data. Such “implants,” as they are referred to in NSA parlance, have played a considerable role in the intelligence agency’s ability to establish a global covert network that operates alongside the Internet. Some of the equipment available is quite inexpensive. A rigged monitor cable that allows “TAO personnel to see what is displayed on the targeted monitor,” for example, is available for just $30. But an “active GSM base station” — a tool that makes it possible to mimic a mobile phone tower and thus monitor cell phones — costs a full $40,000. Computer bugging devices disguised as normal USB plugs, capable of sending and receiving data via radio undetected, are available in packs of 50 for over $1 million. The ANT division doesn’t just manufacture surveillance hardware. It also develops software for special tasks. The ANT developers have a clear preference for planting their malicious code in so-called BIOS, software located on a computer’s motherboard that is the first thing to load when a computer is turned on. This has a number of valuable advantages: an infected PC or server appears to be functioning normally, so the infection remains invisible to virus protection and other security programs. And even if the hard drive of an infected computer has been completely erased and a new operating system is installed, the ANT malware can continue to function and ensures that new spyware can once again be loaded onto what is presumed to be a clean computer. The ANT developers call this “Persistence” and believe this approach has provided them with the possibility of permanent access. 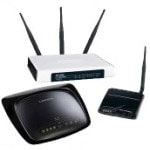 Other ANT programs target Internet routers meant for professional use or hardware firewalls intended to protect company networks from online attacks. Many digital attack weapons are “remotely installable” — in other words, over the Internet. Others require a direct attack on an end-user device — an “interdiction,” as it is known in NSA jargon — in order to install malware or bugging equipment. Many of the items in the software solutions catalog date from 2008, and some of the target server systems that are listed are no longer on the market today. At the same time, it’s not as if the hackers within the ANT division have been sleeping on the job. They have continued to develop their arsenal. Some pages in the 2008 catalog, for example, list new systems for which no tools yet exist. However, the authors promise they are already hard at work developing new tools and that they will be “pursued for a future release”.